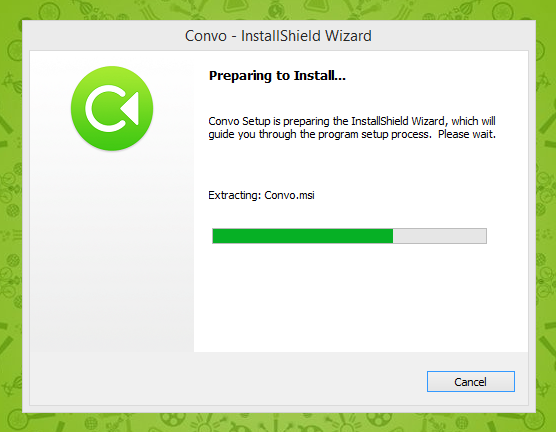 On June 28, 2017, we pushed an update for the Convo app on Windows. To learn more about what's new, click here. 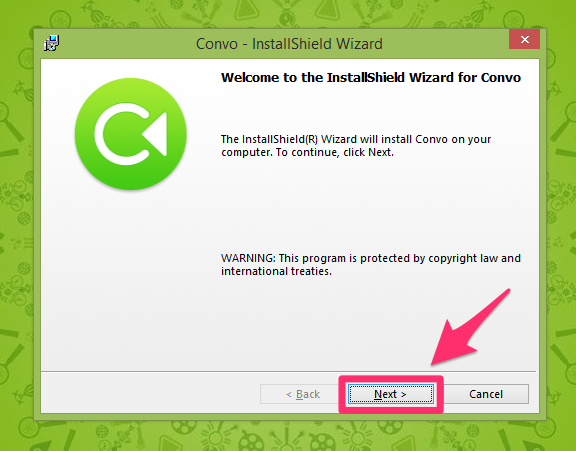 #1 Once you open Convo Desktop (old version), this message will appear. If you're ready to experience our new app, then select "Yes" and click on "OK" button to proceed to the next step! Option #1: Yes - Download the new app now. 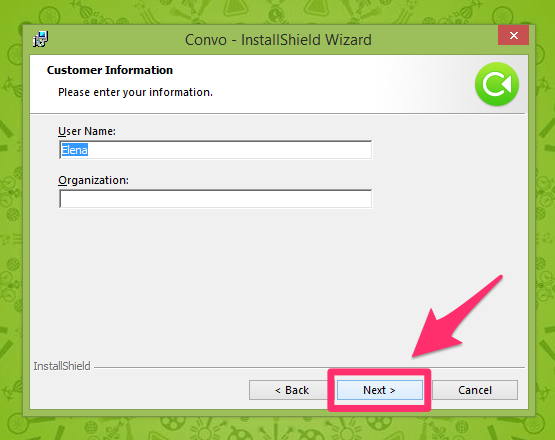 Option #2: Not now (ask me next time) - Set the app to remind you the next time you login (continue to use the old Convo Desktop). 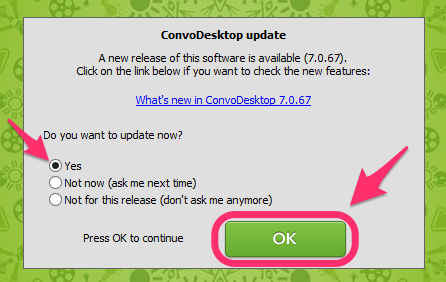 Option #3: Not for this release (don't ask me anymore) - Will not prompt an update reminder until we release the next version (continue to use the old Convo Desktop). IMPORTANT: If you select Option #3: Not for this release (don't ask me anymore) you will not be able to see the update prompt again in this release until the next release. Contact us if you have done this and want to update your app before the next release. #2 After selecting 'Yes', the upgrade process begins. 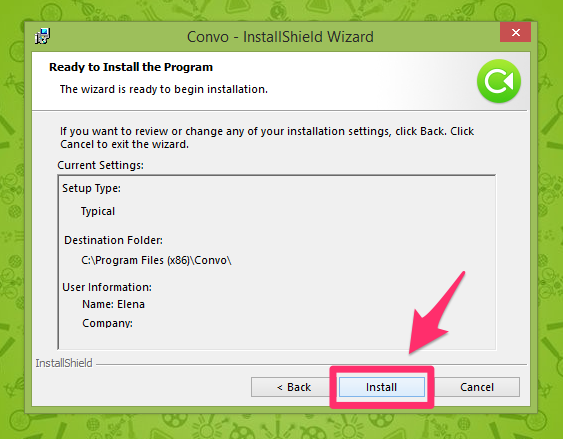 #4 InstallShield Wizard is ready to install the new Convo app on your Windows. Do not edit user name or type organization here. Just click "Next" to proceed. If you need assistance with downloading your new app, go ahead and contact us and we'll work through this with you! Go to the bottom-right corner of our website to start a live chat with our team. 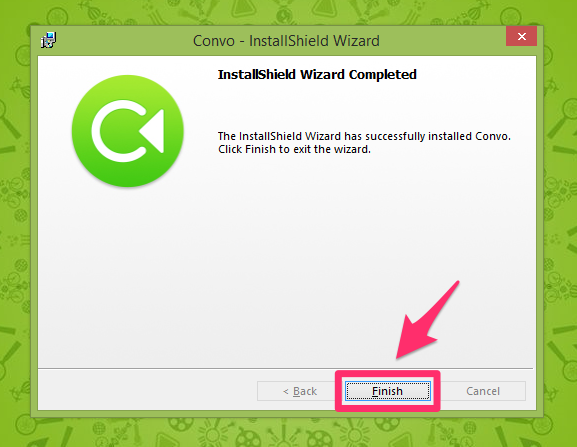 Or, you can email support@convorelay.com.